Dhaka, Bangladesh - Testing company SGS opened expanded textile and footwear testing facilities on November 1. The new facilities offer customers a full range of services for the textile and footwear industries. SGS, which offers inspection, verification, testing and certification services, has more than 90 000 employees and over 2 000 offices and laboratories around the world. Textiles and apparel make up more than 80% of Bangladesh’s total exports, according to the BGMEA, and, during the last decade, the leather and footwear sector has grown by more than 1000%. The opening of these new facilities will allow SGS to work with their customers at a much deeper level. The facility, with both physical and chemical testing capabilities, will give Bangladesh’s industry better access to domestic and international markets. From May 4 - 16, the Hub partnered with its grantee IL&FS Cluster Development Initiative and the Central Leather Research Institute to facilitate a two-week leather-training workshop for representatives from Kenyan tanneries and education institutions. The training, conducted at the Kenya Research Institute, the premier product innovation and development training facility for small and medium-sized enterprises, focused on clean and efficient leather processing technologies. “The training was excellent. I learnt a lot, especially how to improve the leather sector using new technologies like waterless chrome tanning, and recycling chemicals in order to minimize the total dissolved solids in the effluent treatment,” said Jane Mwikali, a Leather Technologist from University of Nairobi. The training series is part of the Kenya Leather Industry Development Program (KLIDP), implemented by the Hub’s grantee IL&FS Cluster Development Initiative that aims to increase the competitiveness of Kenyan leather products for export, and to attract investment in the sector. The NRCS was previously part of the SABS. The 2 have separated, and share the same premises, but they are not co-operating with each other over safety footwear issues. Pretoria (SA) – The National Regulator for Compulsory Standards (NRCS) has so far issued approval numbers for 55 styles of safety footwear, according to its latest figures. It’s not clear how many styles have been submitted by how many suppliers to the NRCS for approval, but it would be reasonable to estimate between 300 and 400 styles and at least 25 suppliers. At the current rate of approvals, it would take 6 to 8 years to clear the backlog, not allowing for new styles coming on to the market. Local manufacturers have the greatest number of styles but the fewest approval numbers so far. The BBF Safety Group – overall the single biggest safety footwear supplier – has applied for most of its 180 styles, but has numbers for only 2 of them. Neptun Boot has 12 styles that require numbers, but has thus far only applied for 2 – the first in 2014, the second earlier this year – and has not had a response. Bata, which makes its gumboots locally and imports its leather safety footwear, has submitted around 25 styles, and has had 1 approved. Manufacturers concerned at the apparent disparity – what they see as possible victimization by the NRCS – have asked the Southern African Footwear & Leather Industries Association (SAFLIA) to take over negotiations with the NRCS, the SABS and the Department of Trade & Industry, under which both fall, on their behalf. And SAFLIA has responded. “We’ve escalated this issue from company level to association level,” chairman Noel Whitehead said. “We’ve taken it up on behalf of the safety footwear manufacturers because we believe they have right on their side, and because we believe this will have to be resolved at a fairly high government level – an avenue which is easier for an industry association than for individual companies. BBF, with its big range, feels it has been disadvantaged by the “lack of co-operation between the NRCS and the SABS over testing”. At issue is that in terms of the standard which all safety footwear has to adhere to – ISO or SANS 20345 – tests must be done on 3 sizes: 5, 8 and 13. The SABS, however, has up until recently only been testing size 8 samples, and around 80% of BBF’s test reports are only on size 8s. It has asked for either special dispensation from the NRCS on styles already tested, or that the SABS test the missing sizes at no charge. “Neither is budging,” said BBF CEO Silvio Ceriani. “At R55 000 per full test for a style, it’s not an argument we want to lose. Importers dominate the list, both in terms of number of brands and in number of approvals, but their approval rates are patchy. Rebel Safety Gear received its first 4 numbers in March, out of an undisclosed number of styles submitted. “We submitted our first applications in May 2014, and have sent through revised applications over time, as the requirements changed and as we understood them better,” GM Rob Gingell said. In November, Claw Boot received approval numbers for 3 of its most important styles – out of 8 leather and 3 gumboot styles applied for. 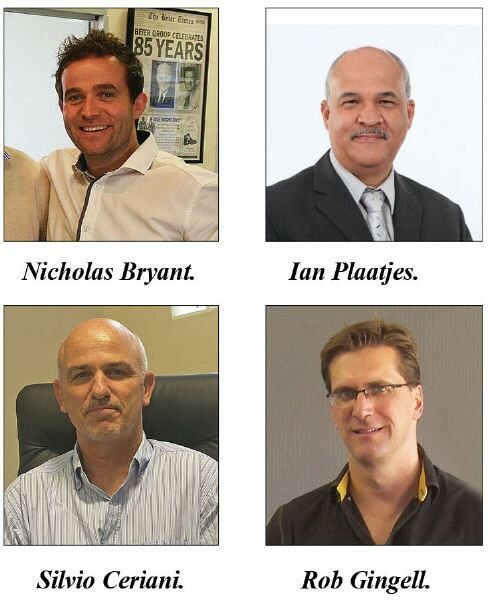 From left – Desmond Tilly – mining and construction sector specialist; Derick Else – coastal manufacturing specialist; Mathew Shepherd – inland manufacturing sector specialist; Handré Botha – agriculture and retail sector specialist. 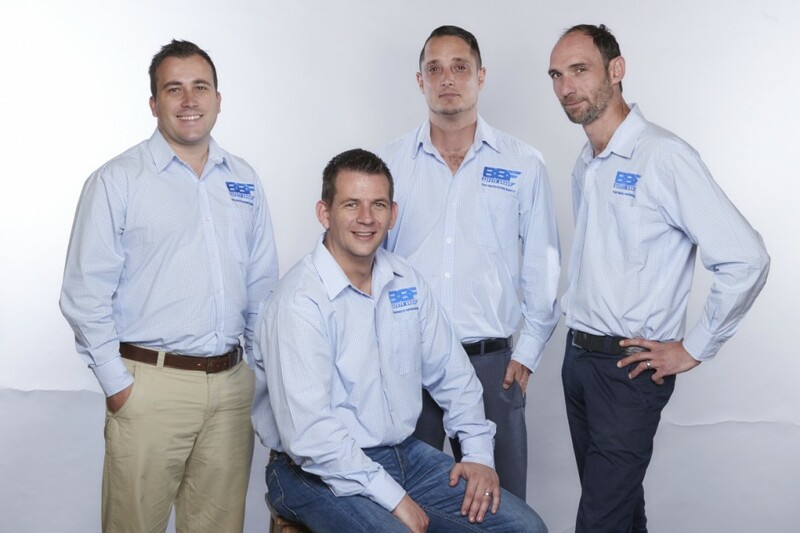 Pinetown (SA) – BBF Safety Group launched a new customer liaison team concept in January. Dubbed sector specialists, the new team has consultants available for each major industrial sector – mining, agriculture, manufacturing, state owned enterprises and construction. The focus is on intensive knowledge transfer, innovation, efficiency and safety. The sector specialists are tasked to educate, train and assist procurement departments, health and safety officers and SHEQ managers, as well as gather industry insights in order to better inform and drive product innovation. In this way answers to local industry challenges will be found and continue to be developed by BBF, rather than buyers looking abroad for solutions. “Our focus is and always has been to stimulate local manufacturing instead of imports,” said Mazibuko. 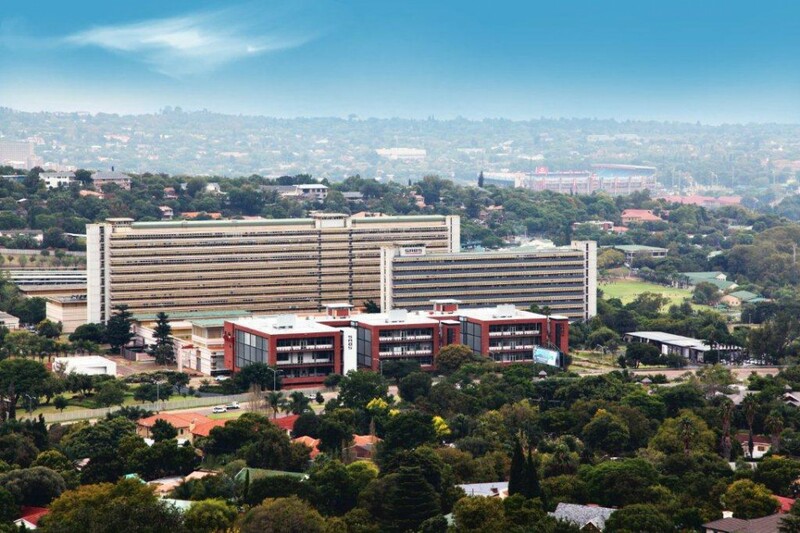 The initiative was developed informally over time, with some of BBF’s brands involved in creating specific products for companies, such as Consul Glass, as well as tandem projects with Eskom and Transnet. 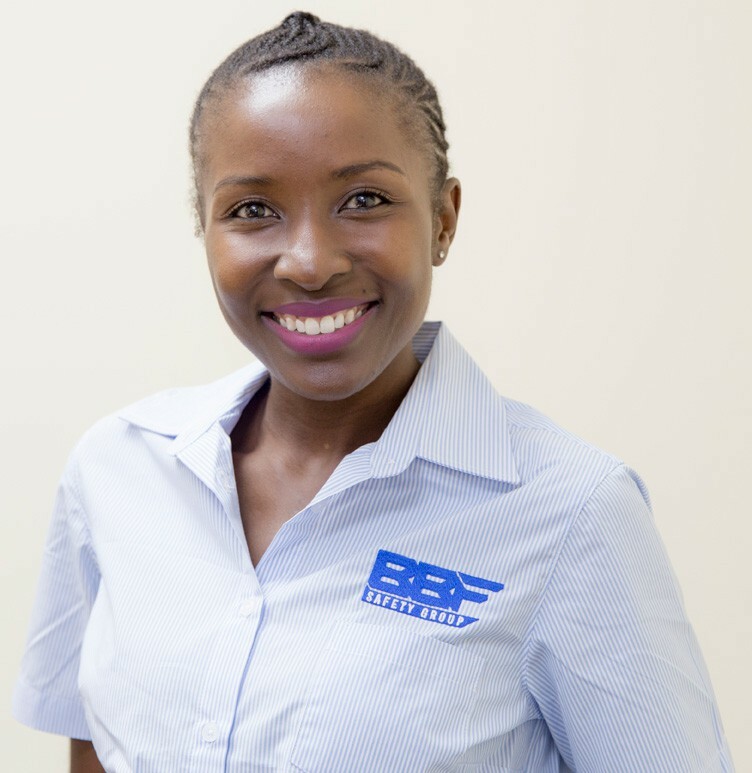 Lebogang Mokwele – state owned enterprises sector specialist. The sector specialists will not be tasked with making sales, instead focusing on education. Their duties will include facilitating training on ways to avoid both under-specification and overspending, insights on how to save budget by buying the right shoes, and providing knowledge on health and safety for their wearers (training they may not receive from employers). The sector specialist initiative supports SA government’s objectives to drive local procurement, as well as their mandate for state-owned enterprises to work through small and medium enterprises. Vreden (Germany) – Kemper GmbH is a manufacturer of extraction and filter systems for the metal-processing industry capable of filtering ultra-fine dust particles from the air that are generated together with welding fumes. The product portfolio includes extraction tables for cutting processes and the entire accessory chain for work protection and air purity retention for the metalworking, electro and automotive industries. The company also offers air purification technology for various sectors. From mobile filter units through central extraction systems, filter technology for ultrafine particles, indoor ventilation systems right up to air monitoring units, Kemper has continuously been launching new innovations on the clean air technology sector on the market for 40 years now. To date, the company has fitted out more than 100,000 companies in around 50 countries over and above the main market of Germany, which still remains the most important market. The company currently employs 300 staff worldwide having started out as a one-man operation. With this background, the manufacturer is listed in the world market leader index at the St. Gallen University. Kemper was founded in 1977 by Gerd Kemper. At the beginning, the propagation of this technology turned out to be very difficult. In Germany, welding fumes are considered to be completely nonhazardous. Ironically, the first contract was cancelled by the workers' own veto. The workers were afraid of losing their daily milk ration - at that time a bottle of milk at the end of the shift was considered to be a detoxification method against "Monday fever", which is of course now considered to be completely without scientific foundation He did a lot of educational work, spoke in factories, lectured at association meetings, visited technical colleges. The new generation of welders carried the idea into their companies. Kemper deepened its technical know-how in the clean air technology sector. In 1989 the company presented a new series of units for welding fumes in both mobile and stationary versions. In 1992, KEMPER developed the first compact central extraction system, the System 8000, with its own control unit. This is still considered to be the basis for further developments in central extraction systems with its building block principle, which takes individual customer requirements into consideration. The first mobile filter device with cleanable filter is launched in 1993. In the middle of the 1990s KEMPER develops the extraction arm, which has become an industry standard by now, with a flange-shaped extraction hood. This has been sold more than 130,000 times since this point.